You might agree with me that hunting is one of the most interesting outdoor activities. In particular, night hunting with a crossbow is both exciting and challenging to any hunters. Let's imagine that we are going to have a night hunting game; I firmly believe it will be enjoyable to wait, chase, aim and fire. However, it may be an unlucky hunting trip if you cannot set your target very well. Furthermore, in case of not seeing clearly in the dark, you will sometimes be stuck in a super dangerous situation. Make sure that you’ve prepared proper gears, especially a night vision optic. Unfortunately, night vision crossbow scopes are much more expensive than conventional scopes. Let's take time to consider all scope features and functions before determining to buy one for your hunting. If you want to know about those features and tips to choose a suitable product? KEEP GOING, and we’ll show you at the following parts. How to Find the Best Night Vision Crossbow Scope? Why Should We use Night Vision Crossbow Scopes? The first two things you need to pay attention to when choosing a night vision scope are magnification and the objective lens. They are significant parts of a crossbow to provide a broad and clear sight. So, how to determine it's a good scope? That's the one has a lower magnification, less than six power preferably. Additionally, it should be lightweight for easy carrying and moving. If you look at the numbers written in product descriptions, you’ll know about the type of magnification and lens. For example, if it writes, 3x42 mm, then it shows us two main things. Firstly, that scope has a 3x zooming power of magnification feature, and you’ll see three times closer image than the actual target. And secondly, the diameter of the objective lens is 42 mm millimeters. Various scope types are available all over the world. If you are looking for a precise shooting scope, pay attention to the crosshair- type of reticle. Nowadays, scope reticle has many different features. A lot of scopes have several color options. Some of them are just in red or green color, or even no crosshair at all. There is no doubt that IR illuminator is a useful device for night hunting crossbow. It helps to emit the infrared light, allowing you to see things in darkness with better visibility. Also, how big and heavy the crossbow scope affects the hunting game. Though the bigger is much better in terms of image resolution, we highly recommend all beginners to buy a lighter gear instead. It will be much easier to carry in a hunting trip. If you’d like to go hunting in any weather conditions especially, rainy and foggy night, consider this feature then. For example, a waterproof device can be used effectively in rainy weather. And the fog proof function helps you to prevent fogging on the inside of the lens and have a clearer view. Finally, there are some additional accessories added with the product such as protective cases, cleaning kits, mounting elements, rain guards…etc. Those items are helpful in fitting, protecting and carrying. Hope that you can have an overview of all basic features and functions related to a night vision crossbow scope after reading this article. Take those features into consideration, and you'll find the best scope you want. An advice for you is to find the most suitable product, not the most expensive one. We'd finished with the list of Top night vision crossbow scopes and their dimensions. And it’s the time for specific reviews of pros and cons for each product. 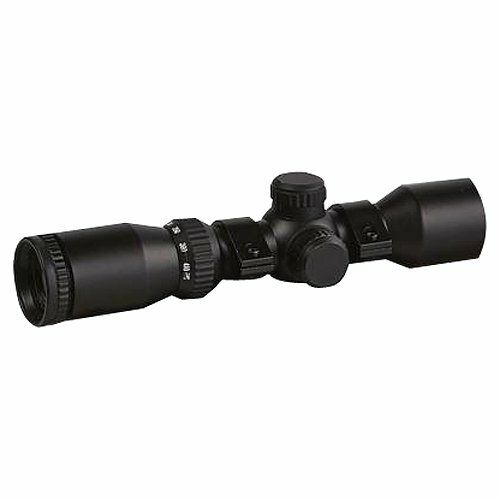 Hawke 3X32 IR Crossbow Scope is such a good choice for hunting in the medium and large area in low light conditions. 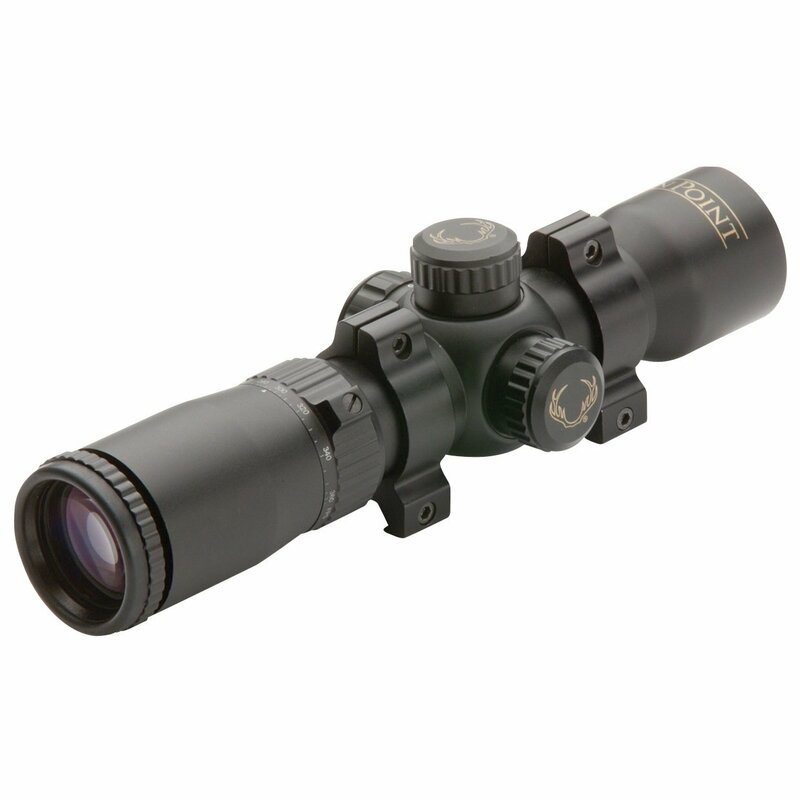 It is also highly recommended with excellent illumination function, bright and clear optic with weatherproof cover. Hence, this crossbow scope can greatly improve the shooting accuracy. Another good news to customers with a tight budget, Hawke 3X32 IR Crossbow Scope has a reasonable price, even cheaper than many other night vision crossbow scopes. The only problem reviewed by the customer is about eye relief length. To some hunters, it's a bit long. Thus, the hunters sometimes feel unpleasant, and it takes time to mount the scope further forward than other types of crossbow scope. One of the points to please the hunters who need a large and good target shooting is super accuracy. The illuminated colors of Ten Point Crossbows Illuminating Range Master Pro Crossbow Scope (HCA-09811) can be changed either red or green to nicely suit low light conditions. However, a drawback of this crossbow scope is that we can’t adjust the zoom. As the setting of the speed and zoom is unified, you may be stuck with the zoom in case of aiming other distances except the 20 option. Moreover, some hunters comment that deer can easily see the red or green light of the illumination from the front lens. That makes the animals more cautious with the hidden hunters. 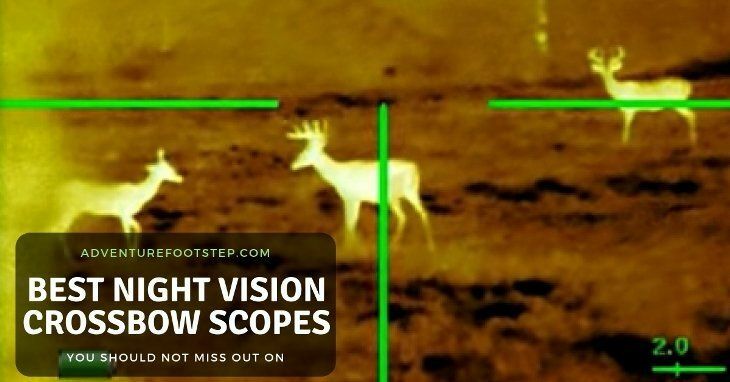 Deer can easily recognize the scope by the red/ green light. Besides weatherproof function such as waterproof and fog proof, Excalibur Tact-Zone Illuminated Crossbow Scope with 30mm Scope Rings 2.5-6x32mm also has shockproof to protect device carefully in moving. Thanks to the good illumination and magnification, it gives us a good target image. The only problem is just about the rings excluded. You may need to spend money on buying them separately. 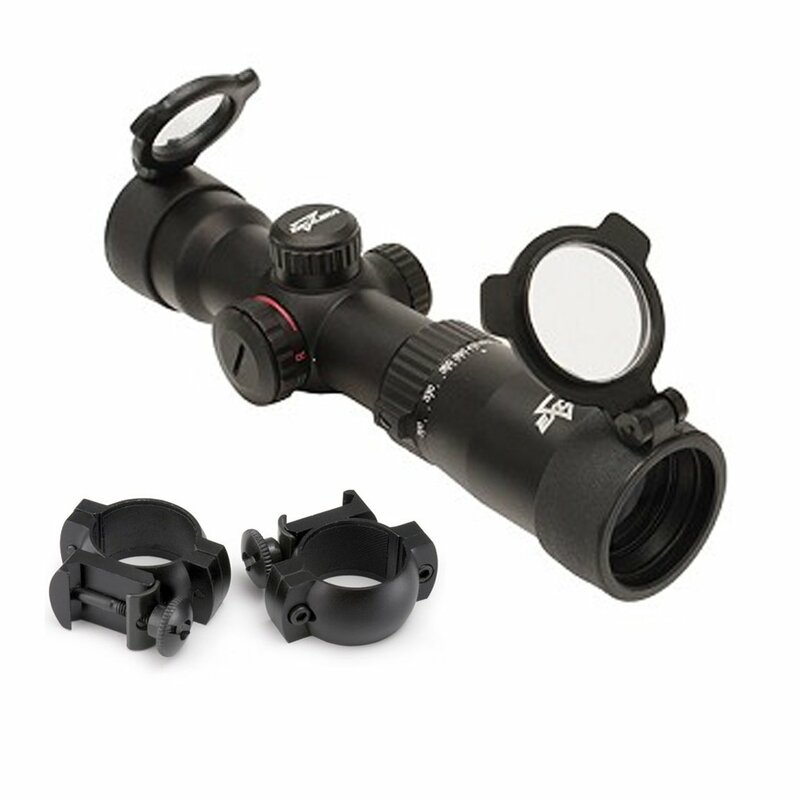 Advice to those who are looking for rings of Excalibur Tact-Zone Illuminated Crossbow Scope. DO NOT try to buy an undefined product online. You should contact the manufacturer to get the suitable and exact device. It will perfectly fit your scope and surely won't waste your time and money. Fortunately, The Truglo 4x32 Crossbow Scope has included adjustable scope base and rings for better vertical adjusting. Moreover, the warranty for a lifetime is another bonus. By the way, it is said that this scope is a bit heavier than others. That may somehow lead to a difficulty in carrying g around for users, especially beginners. Excalibur Crossbow Dead-Zone 1952 Scope is evaluated as one of the most reasonably-priced scopes among crossbow scope products. It’s also versatile due to a variable multi-reticle design. Moreover, it’s a perfect choice for starters who want to experience night hunting with just a limited amount of money. A drawback of this scope is about the multi-coated lens. They may transmit light a little less adequately than other modern crossbow scopes. Once again, let me remind you why we should have a night vision crossbow scope. Firstly, it helps you to have a good night vision. The more clearly we can see in the dark, the more effortlessly we manage our hunting. Secondly, a night vision crossbow scope is also useful to well set your target. No one wants to have a missed shot and let our prey run away, right? As mentioned beforehand, night hunting is such an exciting and challenging hobby. However, it is undeniable that owning a night vision crossbow scope needs careful consideration. No one wants to spend lots of time and money on purchasing and replacing scopes all the time. Although each of these 5 Night Vision Crossbow Scopes has its strengths and weaknesses, hope that this article can somehow help you to clarify all those options and make a right decision. And finally, I highly recommend Excalibur Crossbow Dead-Zone 1952 Scope as a perfect choice for beginners with a tight budget. Last but not least, make sure that you’ve known and followed all rules for hunting and firearms. Good luck and have a great night hunting!